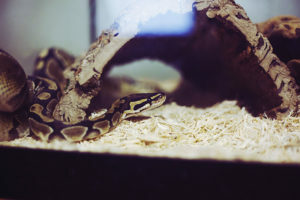 I’ve been trying to educate myself about ball python pet care since before Thomas and I adopted Havana, who is our first ball python, in late October of last year. Yet it seems that research, especially in this field, is quite difficult. 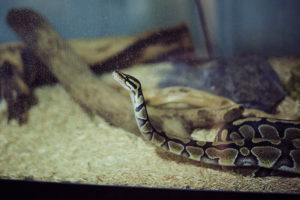 The problem isn’t that there aren’t enough ball python owners and breeders answering questions, it’s that for some questions, there seem to be dozens upon dozens of varying opinions for how to solve that single problem. Now, this is great when you’re troubleshooting, as you can just go down the list of different solutions to your problem until you find one or two that work. The issue, I find, is when everyone starts arguing that their position is the “right” way, while everyone else is wrong. Now I don’t know about you, but it seems to me that the health and happiness of an animal are two topics that really shouldn’t have one possible “answer” to them: one way of practice that should fit absolutely every creature within the species, I mean. Individual human beings have different preferences, different likes and dislikes, and so although you can treat them all the same, giving them all just the same diets, having them living in the same sized houses, arranged in the exact same ways, that doesn’t necessarily mean that every single person will be the happiest they could be with these arrangements, and that certainly doesn’t mean that every other way of doing things is incorrect. Sure, there are things that all human beings will like and dislike. 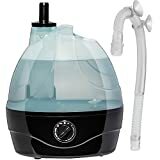 No person will like being dehydrated and needing more water than he or she is getting, and the same goes for a ball python. Humidity should always be set appropriately for your pet, and a water bowl should always be full. There’s no disagreement in the community about that, nor should there be. But when it comes down to the slew of varying practices in between, the disagreements get to be pretty unruly. 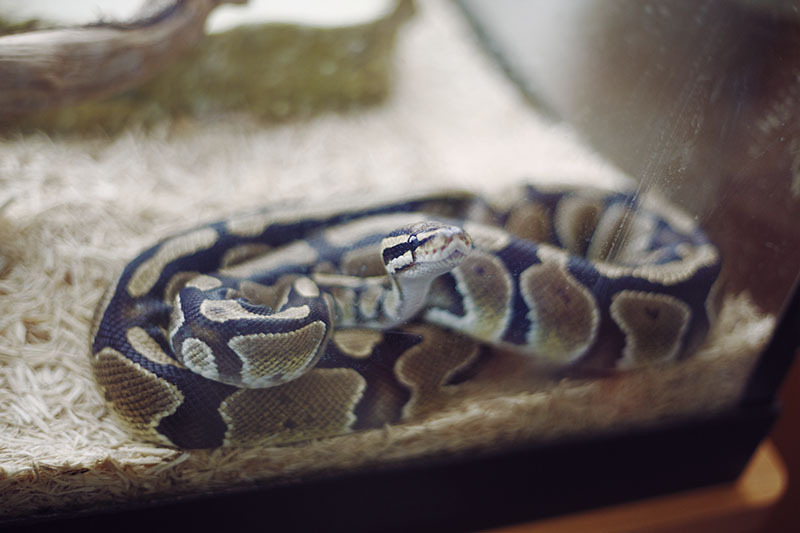 There’s a definite divide, for example, between pet owners and breeders who feed their pythons inside their enclosure, and those who feed their pythons outside their enclosure. 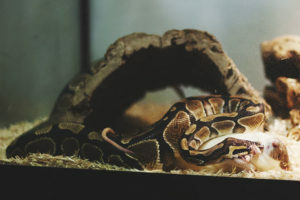 There is another divide between those who prefer to feed ball pythons live rats, and those who prefer to feed them dead, frozen and thawed, rats. Each side of the debate has their own explanation for why their practice is more beneficial to the pet, paired up with experiences that seem to prove their own view. While it makes sense for both camps to believe they are right, many times one side is outraged when the other side suggests using their practice instead. Now, I’m not one to believe you shouldn’t choose sides when it comes to debates like this. In fact, everyone should read through the explanations for each side and choose the one that they believe is more likely to be the best for their pet. But at the same time, after you choose a stance, you shouldn’t just forget that the other side has positive elements of its own, and that there are downsides to your own position: you should maintain the attitude that, while the two sides may not be equally convincing, the other position shouldn’t be completely disregarded. These debates intensify when it gets down to topics like the size, material, and especially the layout of an enclosure. Since there are a multitude of possible environments one could create for a ball python, it makes sense that these debates exist. But there is a problem, as I see it, when a person believes that their view is the only right view. Unfortunately, people who believe this practically seem to be accusing everyone else of being negligent pet owners, just because they don’t follow the same practices as they do. Now, I’m not saying everyone in the ball python community does this. That’s very, very far from the truth. There are so many encouraging and insightful people online, who literally want nothing more than to help you solve your problem because they understand the frustration of wanting to take care for your pet, but not knowing quite how to. Even the people who accuse others of being absolutely wrong do have good intentions: they, like you, want what’s best for your pet. They just happen to believe you’re wrong about how you go about taking care of your pet. It’s important to remember that although these people may have the best intentions, they are not necessarily right, though they’re also not necessarily wrong either. Their opinions, like everyone else’s, should be taken with a grain of salt, as it’s likely that there may not even be one “correct” answer, but many different good answers, some which will be better and some which will be worse for your particular pet. Every ball python is different. 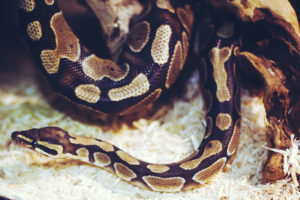 While ball pythons may not be as different from each other as people are from each other, there are obviously going to be differences from one ball python to the next, so one practice cannot possibly be the best practice for every ball python, because not every ball python is the same. 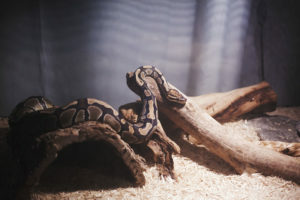 Not only that, but ball pythons, also like people, are able to survive and thrive in a variety of different environments. 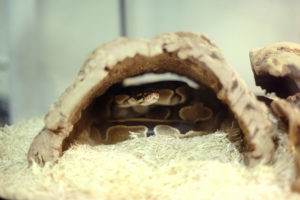 Ball pythons can live as our pets, in the glass enclosures of pet stores or in our homes. They can live in the plastic bins created by us to keep them comfortable and less stressed. But they also live in the savannas, grasslands, and wooded areas of Africa, where they came from, and where the humidity varies depending on the day, and food doesn’t just show up ready for them to eat once every week or so. All this is to say that they do have the capacity to thrive under different, varying conditions. We’ve brought them into our homes, made their lives easier, and done whatever we could do accommodate properly for their needs. We’ve even gone so far as to guess at what they might desire, and gave them that too. We are rightly concerned for our pets, and we should care dearly for them. We should try our best to give them what they need and want, but in the end, we need to understand that we cannot possibly know what exactly their wants may be, and that that is okay. Out in nature, these creatures have lived in environments where their needs, let alone their wants and desires, have not always been met, and they have thrived. Under our care, we at the very least take care of their needs, while providing as much as possible for the wants that we believe they have. 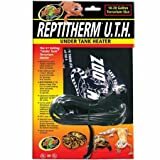 Zoo Med Reptitherm Under Tank Heater (1020 gallons) 6" by 8"
And so I ask, does it really matter whether we have them live in a plastic bin or a glass enclosure, so long as the humidity is properly maintained? 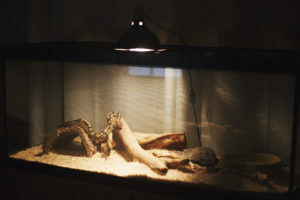 Maybe your particular ball python has grown accustomed to his plastic bin and would hate leaving, while another ball python, having been in a glass enclosure all his life, really rather likes his habitat. 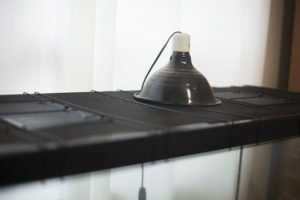 Maybe it’s best to have one hide over two because the single hide guarantees the ball python will sleep on top of the heat mat, and will therefore metabolize better and eat more often, making him grow faster and larger than others. 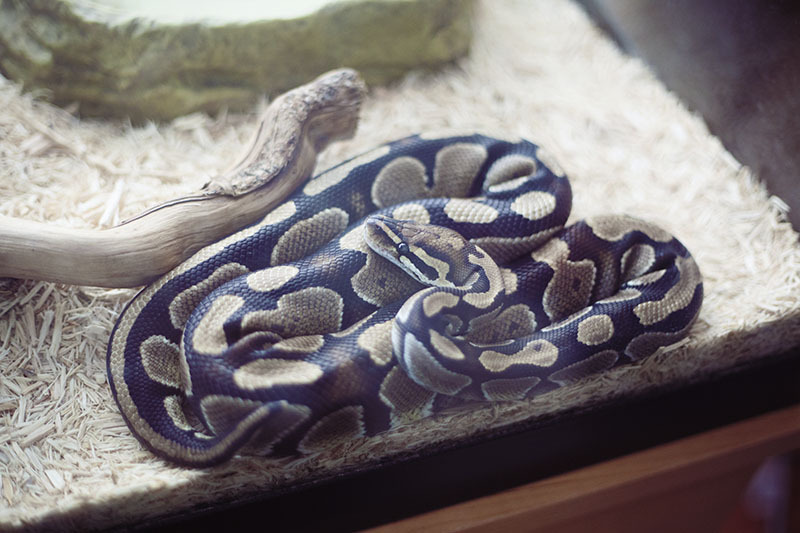 Maybe it doesn’t make any difference that one ball python is smaller than the others, since he is healthy anyway, as unlike in nature, a larger size doesn’t really give him any advantage in his tank. We shouldn’t be enraged when someone suggests an alternative practice to our own when it comes to providing for these creatures. 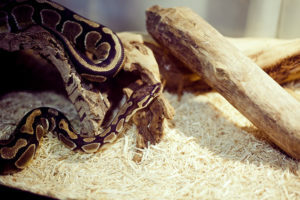 We should simply be enraged when we see real negligence of a pet; when we see something happening that is definitely detrimental to the ball python’s health, and the practice indubitably needs to be corrected. We shouldn’t be fighting as though we have the absolute knowledge about what is the one best way for our ball pythons to be taken care of, as there’s likely not even a one best way in the first place. We should be trying to help each other find good solutions to pet related problems, but not deeming our way the certain best when we cannot possibly know that for sure. And we should not be trying to make those who are giving answers differing from our own feel as though they should be ashamed for having a counter-opinion. We need to accept that there is a range of good practice, and our aim should be to make people better overall caregivers, not to convert them to our exact way of handling any given problem. As someone who works in a pet store and faces different opinions about everything daily, this article resonates with me. I would never send anyone home with knowingly incorrect information, so I’m constantly browsing, researching, and adapting my knowledge. Knowledge within the hobbies is constantly evolving too. At the same time, some things are just plain difference in opinion. 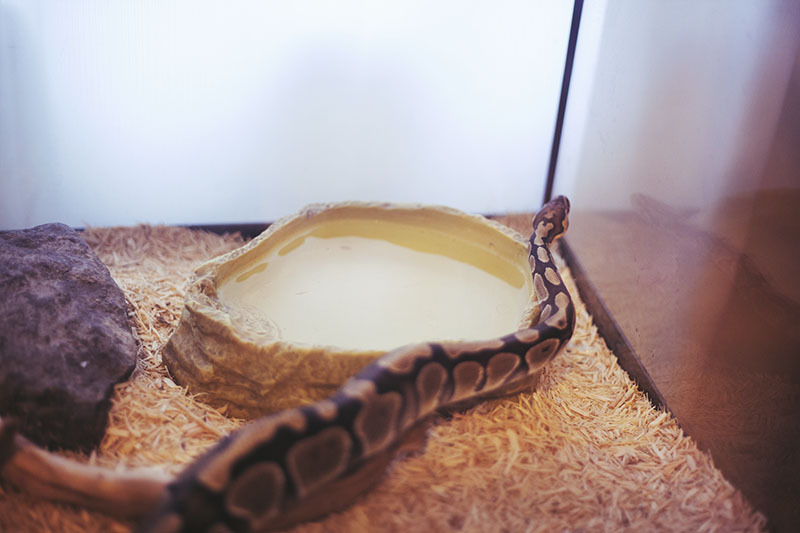 Case in point, just as an example: feeding snakes in-cage or in a separate container. You could probably find just as many people who do one than the other, and feel very strongly about what they do. There are people who feed in-cage and say their snakes have NEVER been aggressive during non-feeding time. There are people who do the same and say their snakes have become cage aggressive. 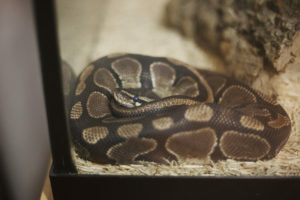 Vice versa, some people who feed in an outside enclosure say that their snakes have never bitten them, while others say they’ve been bitten putting the snake in or getting it out because it’s anticipating a meal. I’ve been questioned, argued with, and occasionally called names for things like that. There are countless other examples from all areas of pet ownership. All I can do are relay my personal experiences with my animals, and relay information I’ve found. I tell people that they have to do what works for THEM, what works for THEIR set-up, what works for THEIR animal. Exactly. There are very few hard and fast rules, especially when it comes to living things! There are guidelines and you can suggest possibilities to try, but each person has to figure out what’s best for themselves and their pet in the end. Thank you for this. 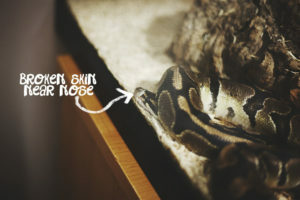 As a new ball python parent I have often left forums or site infos tearing my hair out. Everyone has something different to say and everyone thinks the other is way off in any advice they give. 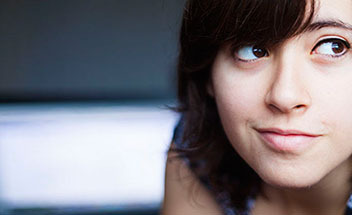 It gets maddening for someone like me who is probably an overly concerned new parent. Ive told myself as long as my little guy eats, has a place to hide, is warm enough and is appropriately active around dusk, then I’m done with the stress of rivaling opinions. I did my research before purchase and will stick to the basics instead of letting others to make me second guess myself.